This year marks the 89th Annual Laconia Motorcycle Rally in beautiful New Hampshire. As Motorcyclists and motorcycle enthusiasts descend on the picturesque lakes region, the Motorcycle Lawyers at Tenn And Tenn, P.A. in Manchester, NH remind our fellow riders and friends to BE SAFE! Don’t Drink and Drive (DWI) and always exercise caution on the roadways. The Laconia Rally is one of the premier Motorcycle Rally’s in the world, with an expected 250,000 visitors. 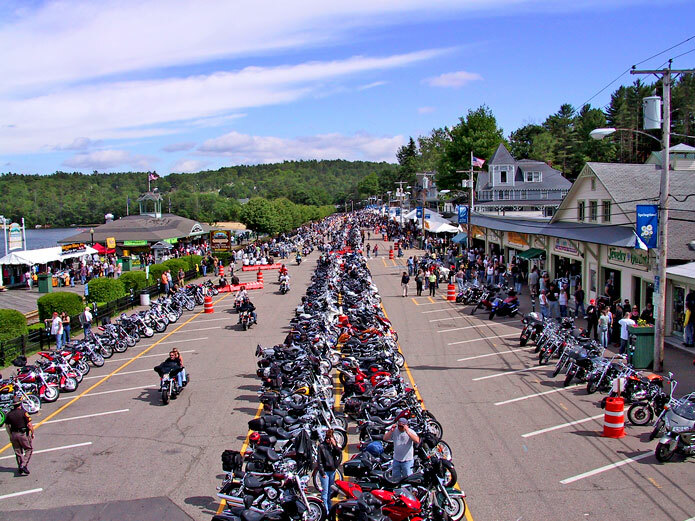 Laconia Motorcycle Week is a truly unique experience; from the non-stop action and attractions at the Weirs Boardwalk, to the variety of motorcycle vendors along the roadway, or the always fun and exciting people watching. The annual hill climb and the Loudon Classic Motorcycle Race at New Hampshire Motor Speedway are fantastic events. Laconia Motorcycle Week is a once in a lifetime experience for anyone who lives and breathes motorcycles. For a listing of vendors and events in the area, the 2012 edition of Ride NH is available. With the large influx of visitors to the Motorcycle Rally, roadway congestion and high volume traffic always seem to play a part in motorcycle accidents. Our NH Motorcycle Injury Lawyers are here to help if you are involved in a motorcycle collision. We are based in Manchester, NH and have assisted many motorcyclists who have crashed at Bike Week. If you are injured in a motorcycle collision in NH, contact us at 603-624-3700.